March 9, 2014 was the 29th running of the 2014 ASICS LA Marathon (www.LAMarathon.com). Your favorite EMT contributor was invited by ASICS to run the race and experience all that ASICS, LA and the LA Marathon had to offer. Buckle up, this review is going to be fast and furious, unlike my finish time. If you registered early, is was a whopping $150 per person. That's also at a savings of $10. I looked around and wasn't sure what the final entry price was. Here in Kansas that's a regular price entry for an Olympic distance triathlon and the Kansas City Marathon would be $130 at packet pickup. Now, Kansas events may have 200 to 10,000 people. The LA Marathon topped out at 26,000. That's a lot of people and a lot of logistics to cover. Not to mention, it probably costs a little more to shut down LA than Kansas City. Just saying. LA is a destination race, so you get what you pay for. The expo was pretty huge and almost overwhelming. We strolled around and checked out many booths after the streamlined bib, shirt and gear pickup. I even found affordable sunglasses to replace the ones I left in my car in airport parking in Kansas City. September 22, 2013 saw the Inaugural Ironman Lake Tahoe kick off at Lake Tahoe, California. Statically, the 2013 Ironman Lake Tahoe was the second most abandoned race in Ironman history, even beating out the Championships in Kona, Hawaii. To say the race was tough on many levels is an understatement. The day before, the area saw high wind gusts, 2 to 3 foot waves at the swim beach, rain, high’s in the 50’s and snow at the end of the day. The outlook for a full 140.6 mile race or having the race at all was not confidence inspiring. 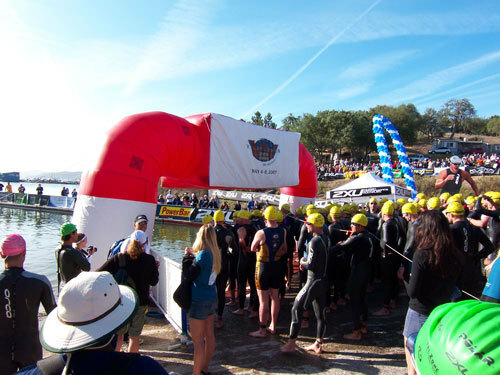 Athletes scrambled to buy cold weather gear at local shops and the Ironman store on site at Squaw Valley to prepare for freezing temperatures at the swim start and highs only reaching 60 degrees. As dawn approached and athletes started flowing to the swim start and first transition area, they scraped ice off of their bikes, layered up and prepared for the full 140.6 mile race. Organizers were satisfied with the conditions, and the full race was a go. At midnight, the finish line was closed down as over 500 registered athletes didn’t even start the race, and of the starters, more than 20 percent did not finish the race. Epic doesn’t begin to describe the race course and conditions for this first Ironman in California since 2001. From our experience racing the event, below is our review of the event and organization. June 9, 2013, was the 6th running of the Ironman 70.3 Kansas Triathlon. They have had their ups and downs as a race. The heat, wind, humidity and severe weather has played havoc with triathletes in the past, but in the end the majority of triathletes that are able to cross the finish line and come away with a good experience and stories to tell at the office for weeks after. Men results can be found HERE and women’s results can be found HERE. It was no real surprise that Craig Alexander took the top spot, but only by a minute. Race day forecasts were all over the board. Some sites called for severe storms all morning with an 80 percent chance. Some called for only a 10 percent chance. Some sites saw storms coming in over night and moving out around 6 A.M., just in time to get the pros in the water and on the way. Not to mention, this portion of Kansas has experienced significant snowfall in early spring and below normal temperatures, so athletes were very nervous as to how cold the water was going to be. In 2005 I was training for my first Ironman, and got hit by a car while out for a ride. I was in aero position, going about 28 mph on a gradual downhill in the bike lane, and a guy in an opposite left hand turn lane decided to gun it and try to beat me across. He misjudged. Before I could even come out of aero position to make a grab for my brakes, I t-boned his passenger door and flew, bike still attached, over the top of his car. It was a rather spectacular-looking crash (according to the horrified onlookers). I was wearing a Road ID, and when the ambulance came, I didn’t have to scour my dazed brain for a phone number. My husband was called and I got carted off for x-rays. Three months later, when my body had healed and my new bike had arrived, I went out again. I was admittedly white-knuckled, but had to get back in the saddle, literally. I told my husband I would stay close to home and do laps in a low-traffic area with a very wide bike lane. So, what hydration system is right for you? Editor's note: If it is good enough for ultra runners it must be good enough for triathletes we figure. Right? Today we feature the writing of ultra runner Ray Churgovich (AKA Hawaiian Shirt Ray) who's an ultra runner and now contributing writer to EMT. Welcome aboard Ray. For ultra trail running I have been asked many time what type of hydration system that I use. Over the trail running seasons I have gone through the gamut of different hydration systems and I will discuss how I came to my latest hydration system. Please note that the article below is specifically for running ultra races, not training runs or other short running races. With its unique start and world famous views, the Escape from Alcatraz Triathlon (EFAT) is considered one of the "must do" events in the sport of triathlon. 2010 marked the 30th Anniversary of the event, and the race fully lived up to expectations, with unmatched weather conditions, big name professionals, and friendly currents. You see a title like “LA Triathlon Series” and images of traffic-filled city bike routes and a runs with industrial scenery probably come to mind. Well, that couldn’t be further from the truth. The LA Tri Series takes place in a lush, green natural setting hidden from any city congestion. The site is Bonelli Park in San Dimas—about 45 miles east of Santa Monica (read: no ocean swim for those who seek calm waters in SoCal). Editor's Note: This is the first review in the EverymanTri rate a race series of reviews. To submit a race race review and get published and have a chance at a new sports watch click HERE. 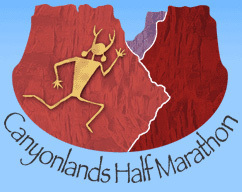 I signed up for the Youngstown Ultra Trail Classic 50K as part of my training for JFK. It’s crazy to think that three months ago I wasn’t sure if I could run a 50K and now they’re training runs. Just two years ago I wasn’t sure I could run my first marathon and this was my 10th endurance running event. I didn’t have any time goals for this race, not knowing how technical it would be. I also didn’t taper at all, but I thought if I could come in under 8 hours then it would be a 47 minute improvement over Laurel Highlands and that could count as a good day. •	2 Brewskis Challenging race in a masochistic I’d could do it again sort-of-way given enough time and Ibuprofen. This race (over the past three years), unlike any other North American Ironman in recent history, has been defined by the weather. - 2 Brewskis: Challenging race in a masochistic I’d could do it again sort-of-way given enough time and Ibuprofen.